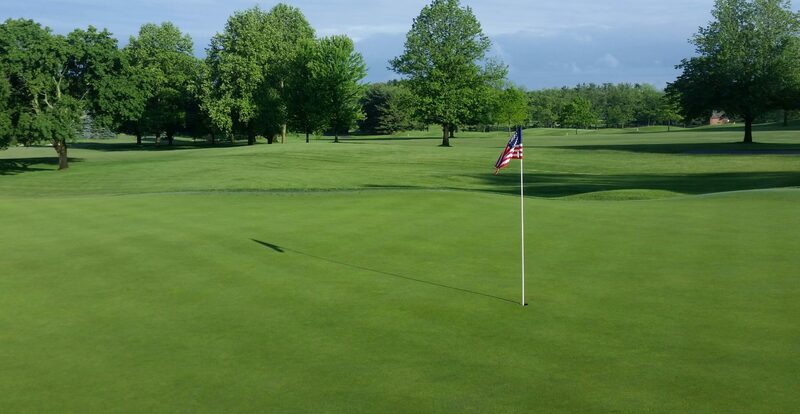 While the beginning of May has been inconsistent weather wise, it has been nice to see members out and about enjoying the golf course when it is nice and sunny. 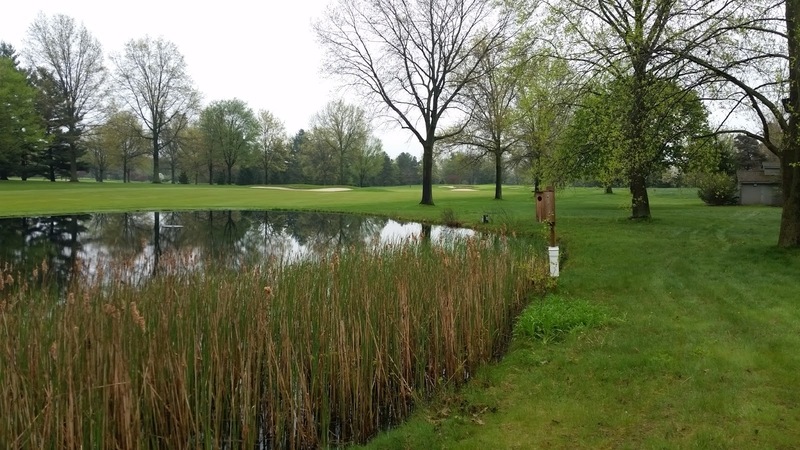 All stump holes have now been filled and seeded or sodded, and until these areas establish themselves, they will be marked as ground under repair. 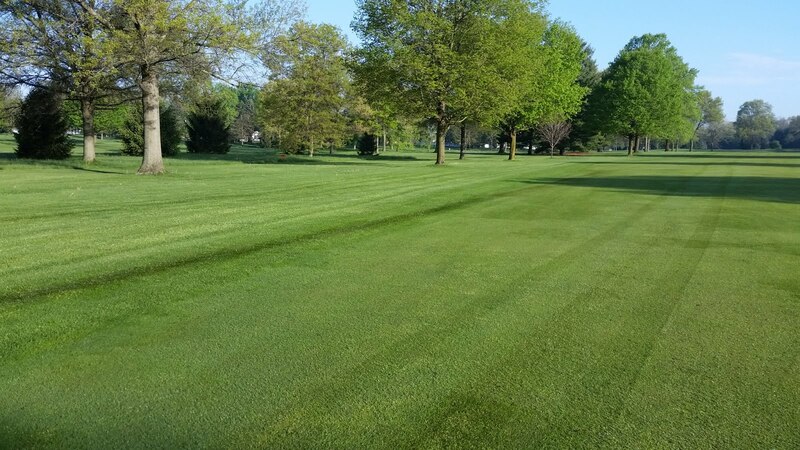 Unfortunately, we had a hydraulic hose blowout on one of our sprayers today, along the left side of #4 fairway. The oil line was directly behind the operator and was not noticed until it was too late. As often as we check all of our machines for wear and tear, these things happen sometimes. The affected sod will be cut out and replaced within the next week or so. 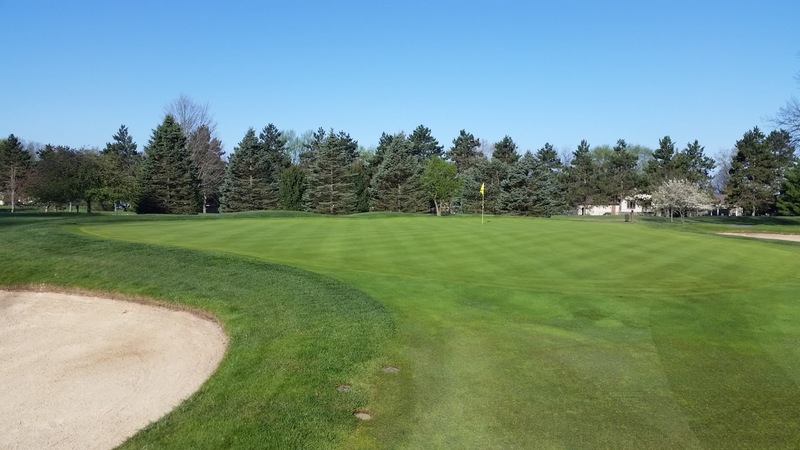 It is interesting to note that it is not the oil itself that kills the turf, but the high temperature that the oil is at during normal operation. There is never a good time for this to happen! Many of you have asked about all the pebbles and rocks in the bunkers. These rocks come from the subsoil base of the bunker, in one of three ways. The first is from the multiple freeze/thaw cycles that occur during winter, where soil heaves up and down, pushing the rocks closer to the surface. The second way these that come up is via any washout damage that occurs during a heavy rain event. 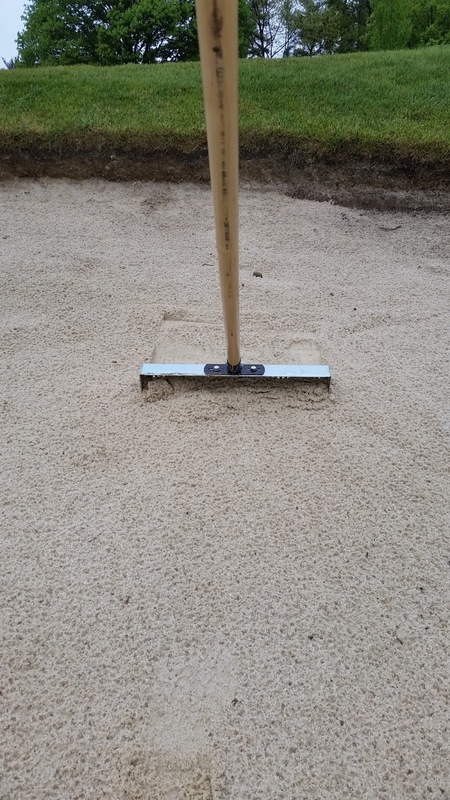 Lastly, our hand rakes and machine rake can grab rocks that are below the sand surface and bring them to the top. 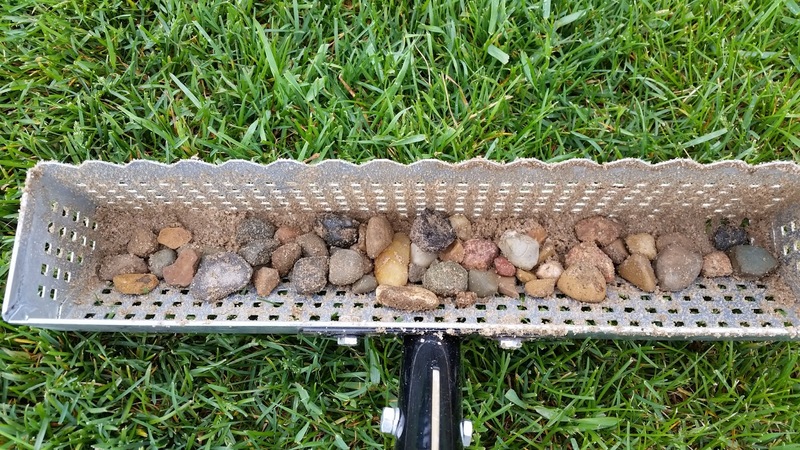 We have purchased sifting tools to lessen the impact these rocks have on the playability of the bunker. Throughout the year, it is my goal to have our staff comb through with these tools and remove as many as possible in the top 2″ of the bunker. In April, 18 5 gallon buckets of rocks were removed. 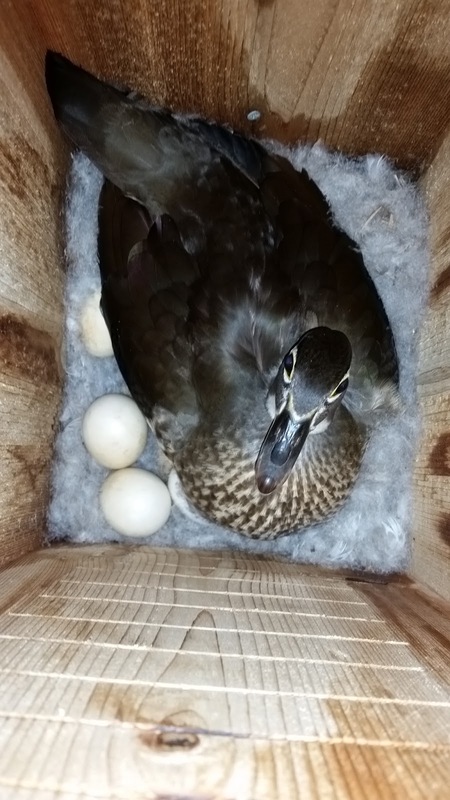 Finally, I mentioned in the Prattler our wood duck house on #14 Pond has a resident wood duck sitting on 9 eggs. Over the next 2 weeks or so I am hoping to capture their hatching and subsequent “jump day” when the new ducklings learn that their nest is 7 feet above the ground. If you would like more information on wood ducks, The Wood Duck Society has a great FAQ section here. If you have any questions, please email me at ryan@elconacc.com. Thanks and have a great rest of your week!